Here at Softbit Solution Design we have an excellent team of Search Engine Optimizers and Web Masters who are dedicated on to SEO projects and Internet Marketing. These days with the help of social media and proper Internet Marketing one can get the best business and it can help in expanding the horizon. 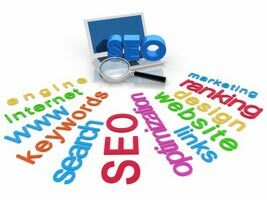 The procedure of Search Engine Optimization is important for making your website rank high and on the top on Goggle listing. These days you can expand your business with the help of SEO & Internet Marketing. Are you tensed because your website has gone down in the list? Don't worry, we are here to remove all your tensions and give you the proper position. We are expecting you to contact us and avail the best services. Till date we have handled several SEO projects and we have never let our customers' expectation go down. We have always excelled the customer's expectation and provide them with the best services. To avail with great service, we are your only choice. Contact us through e-mails and calls. We are here at your service.